Turkey will continue telling the US that the embargoes on Iran are "wrong", Foreign Minister Mevlüt Çavuşoğlu said Wednesday. 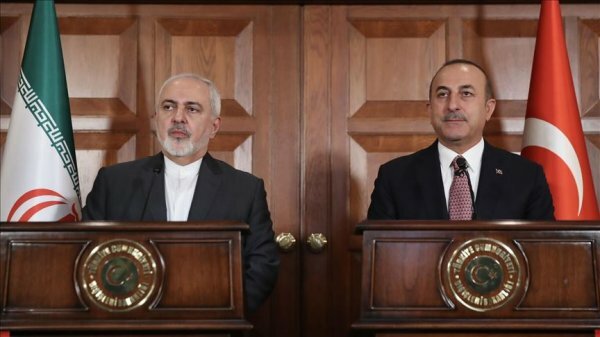 Speaking at a joint news conference with his Iranian counterpart Javad Zarif, he said Turkish ministers had clearly conveyed their concerns to the US about embargoes on Iran during a recent visit. "We will continue telling the US that the embargoes [on Iran] are wrong," Çavuşoğlu said. The US unleashed tough sanctions on Iran last November that hit all core parts of the economy, including oil exports, shipping and banks. He added that the solidarity and decisiveness between Iran and Turkey on the issue is the "important" part of the subject. 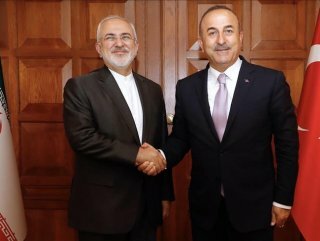 Zarif said he had had a "long" meeting with Bashar al-Assad in Syria and will share its details with President Recep Tayyip Erdoğan. "I will submit a report about this talk to President Erdoğan ," Zarif added. Since then, hundreds of thousands of people have been killed and more than 10 million others displaced, according to UN officials.